Heroin and opioid abuse have been a major concern amongst Burlington County towns. With the major thruways like Interstate 95 connecting major cities like Philadelphia, New York City and Boston, Burlington County has seen the access and availability of drugs like heroin increase in recent years. New Jersey State Police and local law enforcement have joined efforts to crackdown on drug distribution throughout New Jersey and Burlington County. 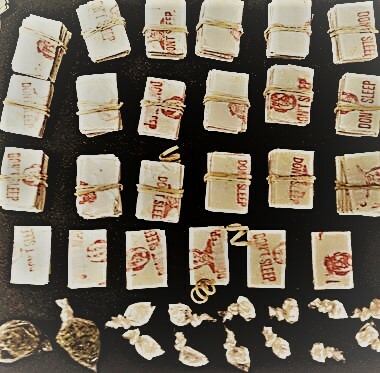 Individuals caught transporting or distributing heroin in New Jersey will be charged with felony crimes that could carry as much as twenty (20) years in a New Jersey State Prison for a first time offender. Moreover, if you are connected to drugs that resulted in an overdose death, then you could be charged under New Jersey’s Strict Liability drug-induced death law. The Burlington County criminal defense trial lawyers at Proetta & Oliver have spent their careers represented defendants accused of drug crimes, assault crimes, theft crimes and juvenile offenses. If you are facing criminal charges for marijuana possession, marijuana distribution, heroin possession, cocaine distribution, prescription drug possession or prescription drug distribution, contact our office. We handle cases involved all Burlington County towns, including Burlington Township, Evesham, Bordentown, Cinnaminson, Southampton, Bass River, Mount Holly, Mount Laurel, Willingboro, Medford and Moorestown. For an immediate and complimentary consultation with one of the firm partners, please contact our Burlington County Office at (609) 850-8284. We are available 24/7 for your convenience. Can I Be Held On Pretrial Detention for Distribution of Heroin in NJ? Due to New Jersey’s push to change bail guidelines, the legislature passed Bail Reform Guidelines in 2017. While the purpose of these guidelines is to keep more low-level offenders out of jail because they could not afford a monetary bail, we have noticed that more serious offenders are being detained under the guise of them posing a “risk to the community.” This means that you could be detained without the option of a monetary bail during the entire pretrial process. If the Burlington County Prosecutor’s Office files a motion for Pretrial Detention, then the court will have to assess certain factors, including a Public Safety Assessment, and determine if you should be released on your own recognizance (ROR), detained or released with certain restrictions. For more information on Pretrial Detention Hearings, please visit the following link. Drug distribution charges are always serious and require that you not take them lightly. A conviction could land you behind bars in a State Penitentiary for a significant period of time. If you are facing heroin distribution or heroin possession charges in Burlington County, contact the criminal defense attorneys at Proetta & Oliver. Firm Partner William C. Fay, IV, is a former New Jersey Deputy Attorney General. His career with the Attorney General’s Office has provided him with unique qualifications that he now provides to his clients. For an immediate and complimentary consultation, please call (609) 850-8284.